You can feel the cool autumn wind hiding in the final warm breezes of summer. There is only one thought in your mind: It’s fire pit time! Building a fire pit is a remarkably fun endeavor that keeps on giving back. You have a vision of the look you want in your mind. You know what kind of media you want to fill the enclosure. Still, have you really thought about what kind of burner you want? The burner is of massive importance to your fire pit, so you want to make sure you choose the right one. 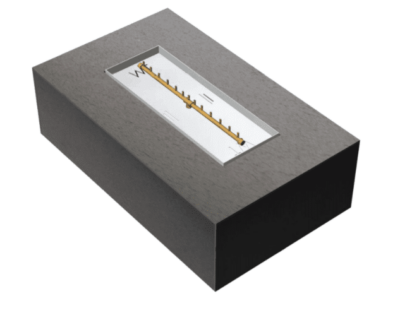 Warming Trends offers the best burner in the business for your fire pit: the Crossfire Burner. The Crossfire Burner uses unique technology that produces a bigger, warmer flame with half the gas use. 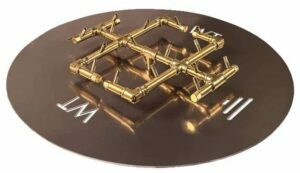 Warming Trends’ Crossfire Brass Burner is comprised of 100% brass, which does not corrode, which means you won’t have to replace it over time like most stainless steel burners. Here at Montana Fire Pits, we have years of experience building incredible fire pits of all sizes and all utilities! Our crew can help you design your new fire pit from start to finish. 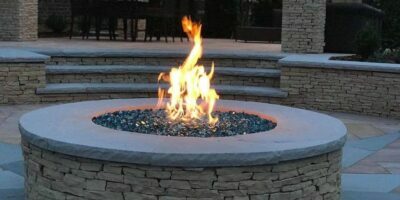 Even if you are planning to build your own DIY fire pit, we are here to help you get it done right. We offer the best products in the industry and friendly staff that can offer invaluable advice to make your dream fire pit happen! We know you have a lot of choices out there for your fire pit burner. After years of research and vetting burners from dozens of companies, we are certain that we offer the best gas fire pit burners in the industry. Warming Trends is a fantastic fire pit burner manufacturer that we have worked with for a long time and we know that their Crossfire burners are the best in the game. One of the most influential choices you will make for your dream fire pit’s look is the kind of media that you will fill the enclosure with. The two most commonly used media are glass and stone, but from there you have plenty of choices to get that perfect look. Stone media includes lava rocks, river rocks, and large rocks to name a few. If you are going for that suave and classy look, you might want to consider using fire pit glass instead. Fire pit glass media not only looks beautiful in full daylight while the fire is out, but it glows with pure luster at night when the flame burns bright! Warming Trends Crossfire Fire Pits are the best you will find anywhere. The patented technology produces the tallest and brightest flame possible while using less gas than other burners of its type. Don’t try to save a little cash now and end up paying way more for your gas later on! Order a Crossfire burner from us today and let’s get your dream fire pit going!